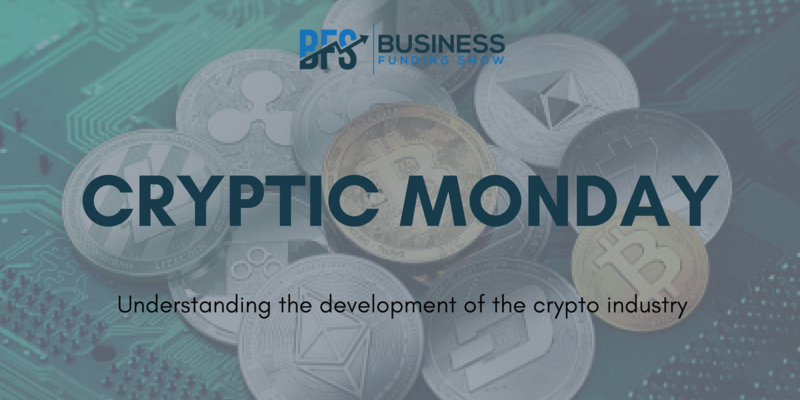 In our first Cryptic Monday report, we wanted to take a look at the crypto market from the standpoint of the general public: what are the current challenges that need to be solved before we reach true mass adoption of cryptocurrency and blockchain technologies? To draw a familiar parallel, when smartphones were first introduced around 10 years ago, few people might have predicted that these will become such an incredibly central part of our everyday lives, thanks to their ability for seamless internet and social media connection. Are we set to witness the same kind of mass adoption within the world of crypto? Older generations have grown up under the spectre of intense financial insecurity and worries over the welfare of their companies in emerging markets – blockchain can effectively provide a security from this by way of decentralisation. Security, data censorship, privacy – these are all thebenefits. However, too many crypto companies and platforms – either websites or apps – still are too complicated for an average person to use; and truly, finding your way through the crypto jungle can be challenging even forthe more seasoned users. Most of it really comes down to UX – user experience. Efficiency and ease of use are critical. When you get to a point when people are using a blockchain but don't actually realiseit, you reach a point of mass adoption. We need something that's so compelling to use, that you simply have to stop using the centralised system. Companies need to have empathy and relevance to the masses and solve a genuine problem. And the use cases have to be practical. People are already using blockchain to send hard-earned money to their families back home around the world without any fees. This is indeed practical, when taking into consideration the outrageous 9% fee which remittance services would charge you! That being said, outside of money transfers and investment,the mass adoption is likely to come from things which we are currently concentrating less on, like gaming and collectibles. Any dapp (decentralised app) which starts to implement a token from an internal currency perspective inits ecosystem, will start to instantly appeal to gamers, as it gives them an alternative dimension by way of (in theory) commerce that they can then interact-out with the real world. If users can represent their worth in a community, and their affiliation to a community, while being rewarded for their participation –that's going to be a big driver of people wanting to own crypto. The other question then becomes, how can everyone have something which holds all of these assets? Essentially, for this integration to become more seamless than it currently is, the concept of the cryptocurrency wallet as a separate entity needs to disappear. The democratising effect which blockchain technology creates is very powerful. Take something like the boarding process at an airport; if this is difficult and cumbersome for people with valid documents, think about how difficult it is for people who exist outside of this system (e.g. refugees). This is where mass adoption starts to become really interesting: the ability to hold a digital identity which can be validated can allow such people to become part of a system which they're currently outside of, facilitating inclusivity for all. We have yet to see this such solutions really taking shape,but once they do, they'll have the potential to transform not only financial models, but also whole governments or our systems of voting. There's no shortage of fantastic companies out there addressing all these key issues, including an increasing number of decentralised exchanges that are deploying EOS networks. Blockchain.com –the most trusted and fastest growing crypto company, helping millions across the globe have an easy and safe way to access cryptocurrencies. BitPay ­– AcceptBitcoin and Bitcoin Cash, store and spend them securely, or turn Bitcoin into dollarswith the BitPay Card. Virgin Money Spot– instant wallet to wallet payments, without waiting for funds to clear. Brave Browser – freeand open-source web browser based on the Chromium web browser and its Blinkengine. The browser blocks ads and website trackers. Everipedia – theworld's first Encyclopaedia that allows anyone to become a stakeholder in thesystem and earn rank, rewards & tokens for curating content. EOSBet – diceroll betting game, which has become the largest dapp ever, with about 500Ktransactions per 24hrs, built on the Ethereum blockchain. Steam – digitaldistribution platform for purchasing and playing video games, offering digitalrights management, matchmaking servers, video streaming, and social networking. In conclusion, these and other companies have to constantly strive to remove the hassle and admin of their services, improving efficiency and prices, in order to continue receiving public interest, across all demographics. We hope to see the continued development of the cryptoindustry, as the potential of the technology is still only fractionally utilised – the future certainly looks interesting!